On Thursday night I attended the fabulous Ladies Night at St David's 2 where lots of lovely bloggers were invited to meet in Pizza Express before the event started. 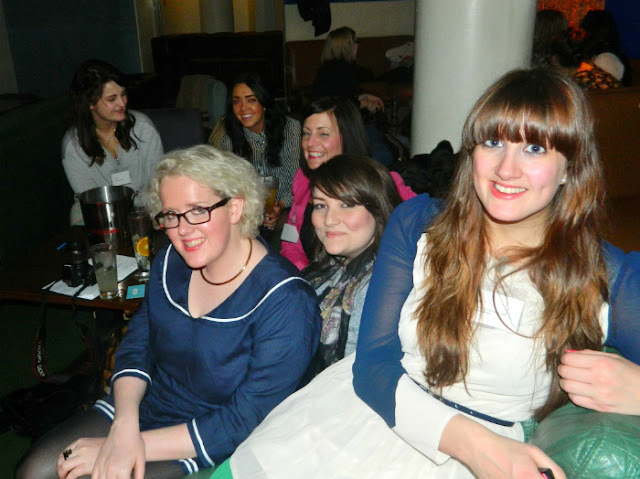 It was lovely to catch up with some familiar faces who I had met at the South Wales Blogger Meet Up. Megan and the Grayling PR team really looked after us and we tucked in to some pizza and wine. I had come straight from work so it was the perfect way to relax and prepare for the busy night of shopping ahead. The idea of Ladies Night was to have makeovers, pampering and discounts with a great atmosphere. It was a but like the Student lock in but less manic and open to all ladies. I hope Ladies Night is turned into an annual event because who doesn't love a bit of bubbly while you shop and a party atmosphere? 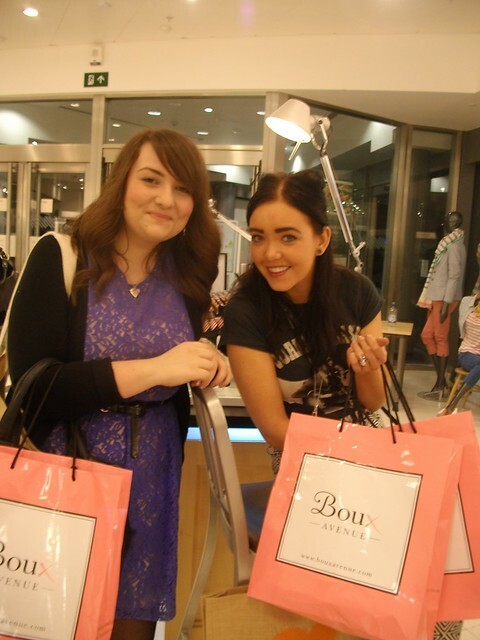 We all popped into Boux Avenue which is my favourite store in Cardiff, always get lovely service there. I splashed out on some new sets of underwear using my St David's voucher.The last photo is of Charli doing her model walk behind the line of models walking around St David's ha! I love the changing rooms in Boux Avenue, plenty of room and fun lights to play around with. It was Boux Avenues first birthday so there were lots of treats in store. John Lewis also had lots going on in store and Charli got her make up done at Bobbi Brown and Joanne and Leanne splashed out at Nars and Chanel. Leanne Marie for a wondeful night! It's been another week of going out and shopping for me, some things never change! I feel like I've wasted the sunny days by being inside shopping or listing things on eBay but I managed to enjoy a few cocktails out on Mill Lane in Cardiff this weekend and get out and about meeting a few friends for coffee. It has been manic in the library where I work because lots of people have dissertations due in and are taking books out for the Easter holidays. Can't wait to have a four day weekend next week and head off to Manchester. Beyond excited for my trip, planning what I'm wearing already and where I'm going for an afternoon tea. Went out for a friends birthday on Saturday and ended up in Metros, which is a slightly dodgy club that has really cheap drinks and plays rock and pop punk. Had a blast! I wore my favourite ASOS navy lace dress and my brooch from Rose Tinted Vintage and Revlon Pink About It lipstick. I treated myself so some new undies in the very lovely Boux Avenue store in Cardiff this weekend, indulged in some hangover breakfast and have been reading more of A Song of Fire and Ice in my garden. I've just sold about ten dresses on ebay and most of my clothes don't fit me anymore so I've been on a bit of a spending spree splashing out on lots of dresses. 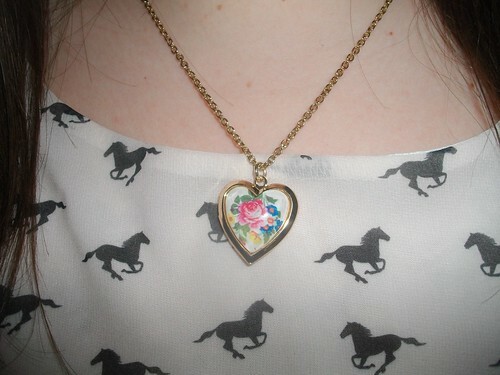 The first one is from New Look via ebay and only cost £6, it still had the tags on. 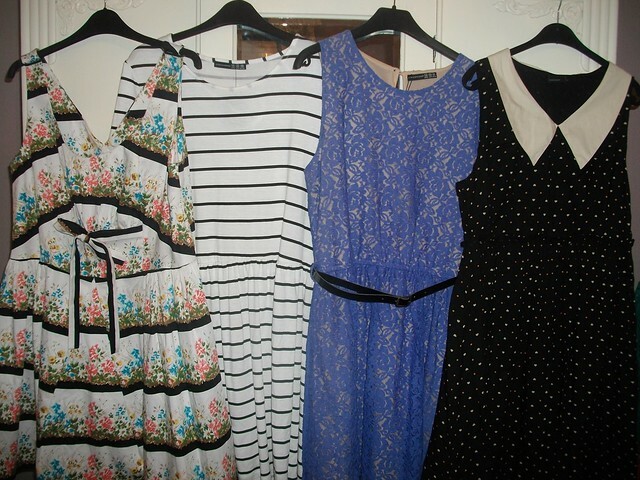 The stripey jersey one was a bargain at £8 in Primark and the lace one was £15 from there too. 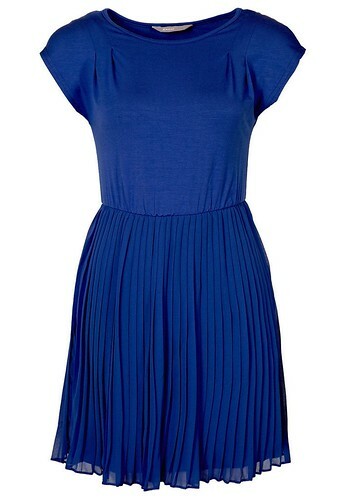 The Navy dress with a collar is from Vero Moda. 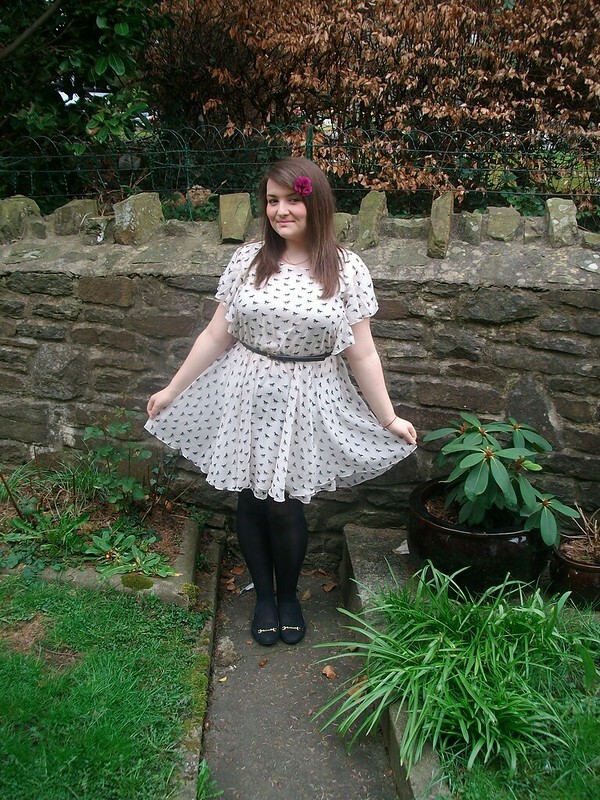 I have more than enough to keep me going but I bought this Republic dress on ebay for £5 too. I'm thinking it will look nice with my biker jacket and some black tights, all the money I made on ebay has been spent already! I'm going to Ladies Night along with some of my favourite south Wales bloggers tomorrow to take advantage of lots of discounts and beauty demonstrations. It's a shame I don't get paid until the next day but I might pop into New Look and Boux Avenue and I'm on the lookout for a good blusher brush, any recommendations? Before making any purchases at the moment I am considering how I would wear an item, how much use would I get from it and will it last me more than a few weeks with my current weigh changes. I'm always on the lookout for something versatile and something that can be nipped in at the waist with a belt. This lovely Awear dress from Zalando fits the bill perfectly, it's suitable for work, the weekend and nights out with friends. I've already picked out a few looks for this dress, what do you think? I would pair it with a colourful Bag, a little necklace because of the high neckline and some statement womens shoes. I loved all those huge glittery wedges people were buying at Christmas but would never be able to walk in them so these shoes would be much more suitable with their chunky little heel. I think this would make a really fun 'night out' look. Both the shoes and bag are really classic and simple which means I will get a lot of wear from them. The bag is from the Mischa Barton range which I love, I've picked up a few of them in sales before. I would probably pop on some black tights if I was wearing this to work or polka dot ones if I was meeting friends for lunch. The blazer is from New Look and I've been eyeing it up for a while. I think it would also work well with the grey Topshop midi I bought and styled in this post. A black smart jacket will last me for years so I don't feel too bad splashing out on one of those. 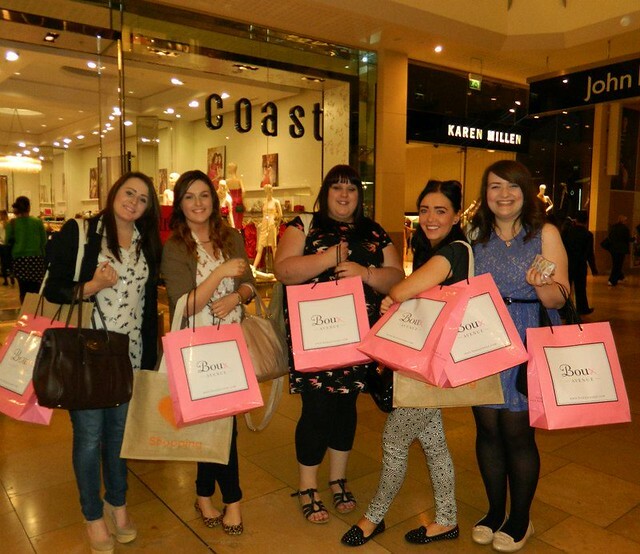 Do you weigh up your purchases or are you more of an impulse buyer? 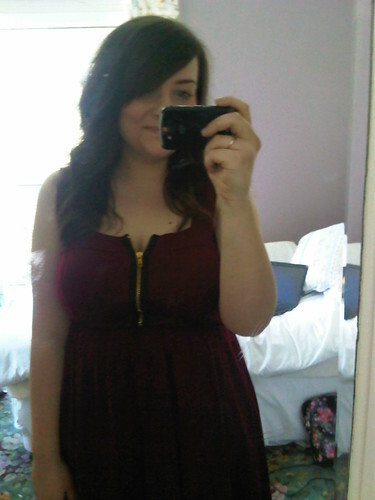 I've had this dress for a while now but have never got round to wearing it. I wore it today to run errands on my day off and I love it. The print reminds me of the song Wild Horses, I used to listen to The Sundays cover of that song on the Buffy soundtrack when I was in school aaaall the time. 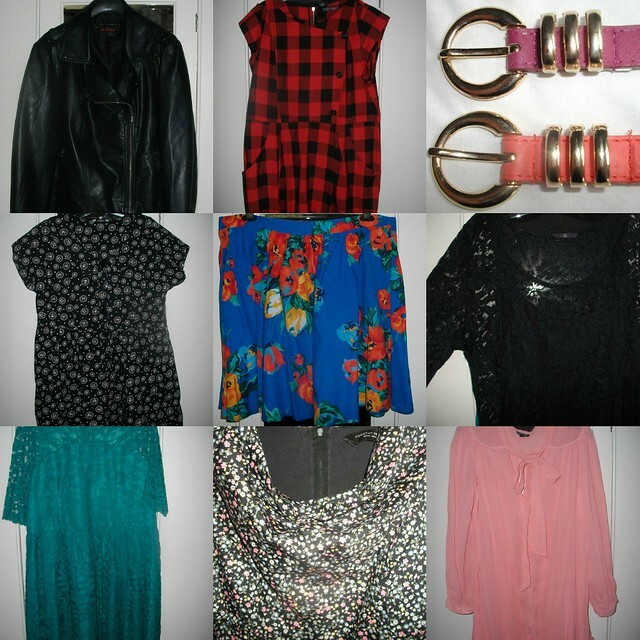 I've added a few more items to ebay to sell today which you can check out here. I've also spent my day off sorting out piles of clothes to give to charity, scrapbooking and cooking. Feeling very relaxed but also worried about the money I just splurged on a Reading Festival ticket, oopsie! Hope you all had a good start to the week. I'm having a clear out and getting rid of a few things on ebay. I really loved the green dress and my biker jacket but they just don't fint anymore. If you want to give them a new home you can find them on my ebay page here. 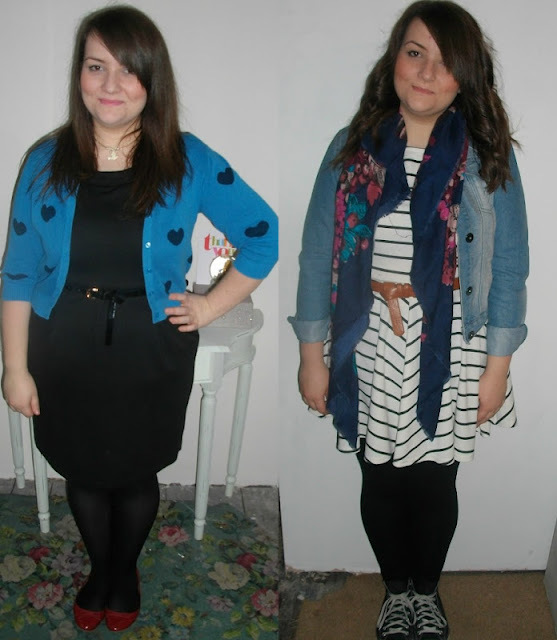 The clothes range from a size 12 to 22. I've mostly been cooking lots of things from the Members' Favourites cookbook that the lovely people at Weight Watchers sent me. My favourite recipe was the butternut squash brushed in chilli and rosemary topped with quorn mince, peppers and feta mmm! I wore my new Monsoon dress to The Maccabees but couldn't get a good photo of it so will do a full outfit post on it soon. So girly and frilly! 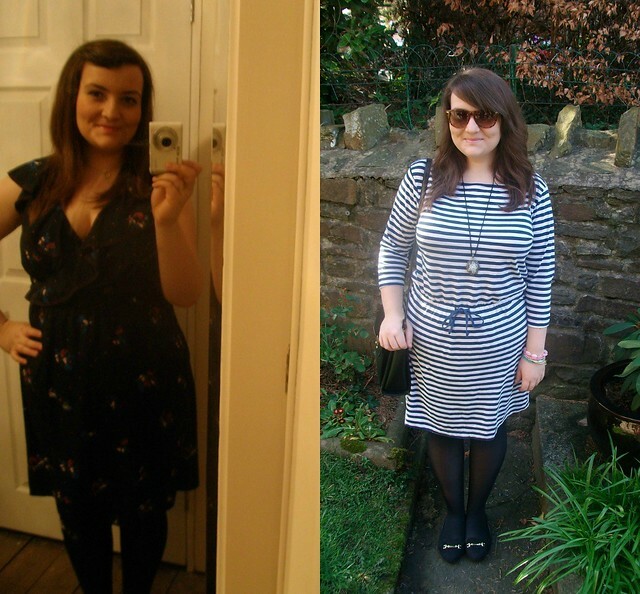 I've also been wearing my new bargain H&M dress which was about £9.99 and my cheapy £2.99 New Look sunglasses. I had a rather lovely day on Monday. I got the chance to check out Gok Wan's collection for Specsavers and ask him a few questions about the range and hang out with some of my favourite Cardiff bloggers. Great way to spend the morning on my day off! His range is very 50s inspired and comes just in time for the new series of Mad Men. Gok styled a few competition winners and chatted to bloggers and press for a few hours. He was very honest and charming, lovely chap! The glasses retail at about £99 and are 2 for 1 which I think is a bargain as a lot of the designer glasses retail at £150+ a pair. Very affordable and very stylish. I wore my new skirt to meet Gok, I've had my eye on it for ages and it was on sale in Primark for just £5 so I couldn't resist. 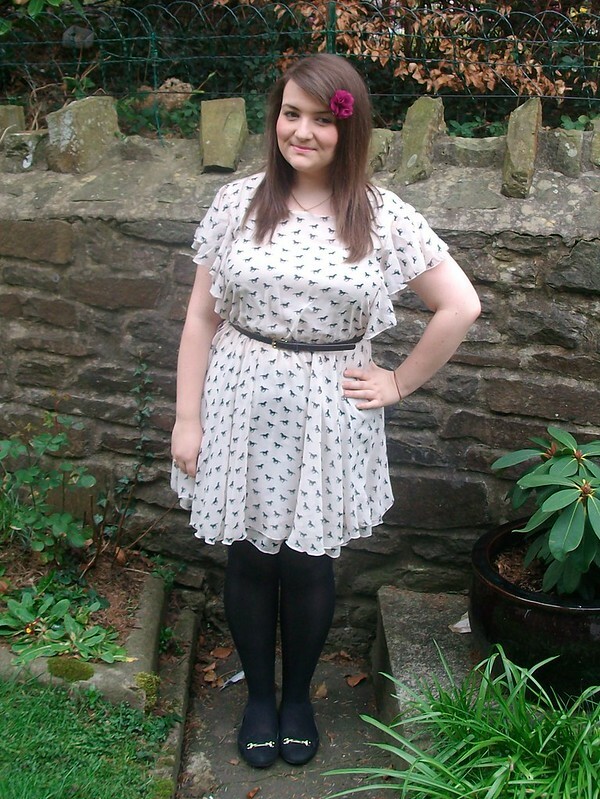 I paired it with a really old black top from asda and my new Clarks ballet shoes. I even wore my glasses for once because it was a glasses event. I HATE wearing my glasses because they are slim and boring and I want nice big 50's ones. Gok's range actually solves all my glasses problems! I treated my little brother on Monday evening and took him to see Florence and the Machine in Cardiff. He's a Britney/Madonna kind of guy so Florence was a bit of a change for him but he really enjoyed it. I like passing on my tastes to my brother but it mainly works the other way round as he constantly listens to very camp pop and I now do the same. He wasn't keen on the support act The Horrors (who are one of my all time fave bands) but you can't win them all. I had an emotional moment when The Horrors played Still Life and hearing the whole arena singing Shake It Out was beautiful. I saw Florence a few years ago when she played to a small crowd and she hasn't lost any of her energy and if anything her voice and style have grown stronger. I only have a few grainy photos from the gig to share with you, don't you hate it when everyone watches the whole gig through their smart phone?! put it down and watch it, stop filming!! Surely a handful of photos is enough for anyone and you will remember the moment without needing to capture the whole gig on film. RANT. Best Monday I've had for a long time! After yet another manic weekend (turning into a bit of a party animal) I've had a rather busy week. Work has been busy and I've made an effort to be sociable on my days off. I would love to rest this weekend but I'm going to #ldnlunch and then a 90s fancy dress party. I'm going to do my best Richey/Nicky early 90s Manics impression for the party, donning lots of leopard print and eyeliner. 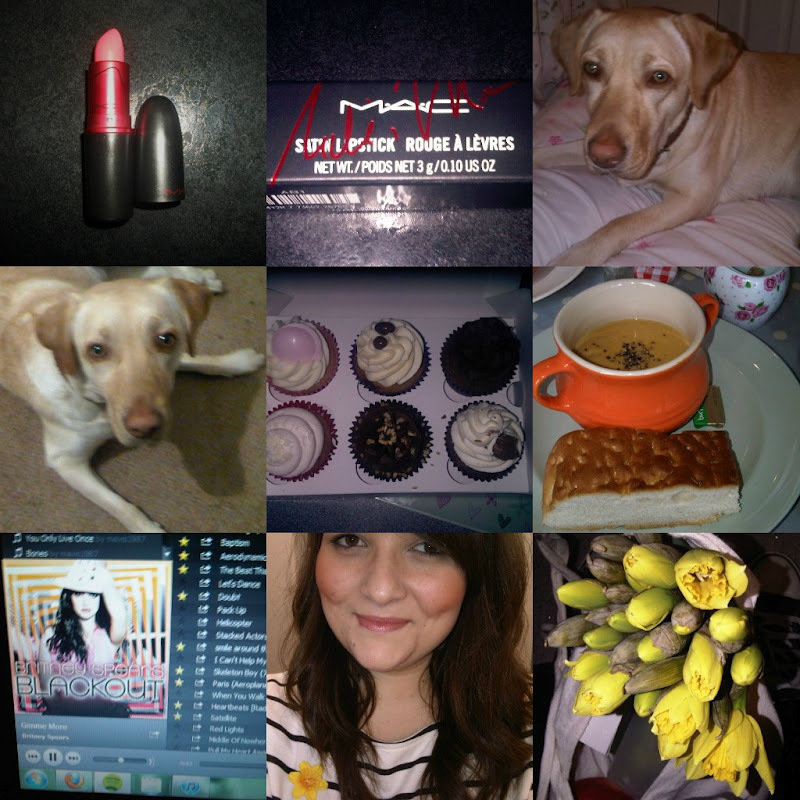 I treated myself to the Nicki Minaj Viva Glam lipstick, it looks coral but you put it on and it is shocking pink. I love it! I spent my day off with my friend in The Pot eating some amazing sweet potato, satay and coconut soup and enjoying some lovely loose leaf tea. It really is a cute little place, I highly recommend it! It has a great selection of yummy cakes and veggie/vegan food. We took some cakes back for our friends, I wasn't going to have one... had half then scoffed the other half later, ha! Listened to Britney, standard daily occurrence. Celebrated St David's Day with lots of daffodils and a little display in work highlighting our Welsh collection. I picked up the denim jacket for £4 on eBay and I've been wearing it everyday, I love it! A lot of these clothes are things I've had for a long time. Nothing fits me anymore so I'm struggling to work out new combinations and I'm getting a little bored of the things I have. I'm going to try and save money and recycle and make alterations to things I already have. Anyway, Happy St David's Day and hopefully see a few of you on the weekend at ldnlunch!